The selection for Probationary Officers will be done through a three tiered process: Phase-I: Preliminary Examination: Preliminary Examination consisting of Objective Test for 100 marks will be conducted online. Selection criteria for Main Examination: Category wise merit list will be drawn on the basis of the aggregate marks scored in the Preliminary Exam. There will be no sectional cut-off. Candidates numbering 10 times the numbers of vacancies (approx.) in each category will be short listed for Main Examination from the top of above merit list. Phase-II: Main Examination: Main Examination will consist of Objective Tests for 200 marks and Descriptive Test for 50 marks. 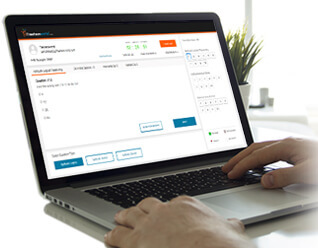 Both the Objective and Descriptive Tests will be online. Candidates will have to answer the Descriptive Test by typing on the computer. The Descriptive Test will be administered immediately after completion of the Objective Test. SBI recruiting Probationary Officers candidates nearby Anywhere in India.SBI vacancies for Probationary Officers is recruited through Written-test, Face to Face Interview etc. SBI Company recruits a lot of candidates every year based on the skills . The candidates with Any Graduate are selected to full fill the vacancies in HR / Admin job field. 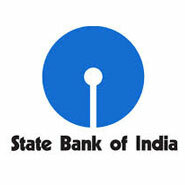 The candidates nearby Anywhere in India can apply for Probationary Officers position in SBI. All candidates should have a degree or post-graduation in the required field based on the requirement mentioned. The jobs are available in Full Time basis. When it comes to the SBI recruitment, candidates are mostly chosen for the department of HR / Admin . To learn more about the current jobs and other details, it is better to go through official site of SBI and Freshersworld. Find the latest jobs near you and near your home. So, that you don’t need to relocate. The Freshersworld is a leading employment portal that researches the official site of SBI and provides all the details about the current vacancies, the application process, selection process, interview test details, important dates and other information. Search and apply for the top job positions in SBI and near your city and get a secured career.